A woman turns the tables on a coworker who criticized her weight in the Season 1 finale. My Big Fat Revenge is available to watch on Oxygen. 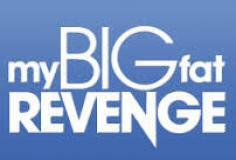 You can also buy, rent full episodes of My Big Fat Revenge on VUDU.